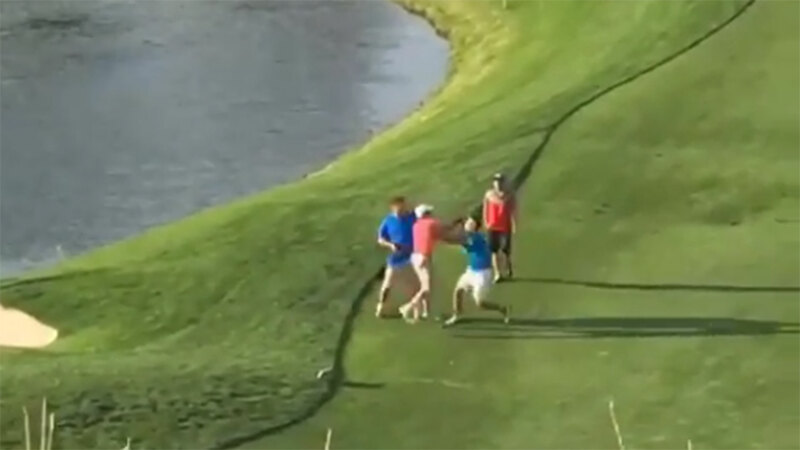 Golfer bites off another golfer's thumb in foursomes brawl shocker! SCENES! and you thought your foursomes match was entertaining at the weekend?! A male golfer Bite off another man's finger after a fight broke out between two foursomes groups at Southers Marsh GC in Plymouth, Massachusetts. While both unnamed, a 47-year-old man got into a fight with another golfer and bit off a part of his thumb. Reports claim that when firefighters arrived they found the victim lying down by the main entrance by three golf carts, and the victim's thumb had been bitten off to his knuckle while the rest of it was on ice. The victim was transported to a local hospital for treatment. Reports claim the attacker was arrested and charged with mayhem. It was not clear if alcohol may have played a role in the altercation. Southers Marsh Golf Club is rated as one of the best public golf courses in New England.